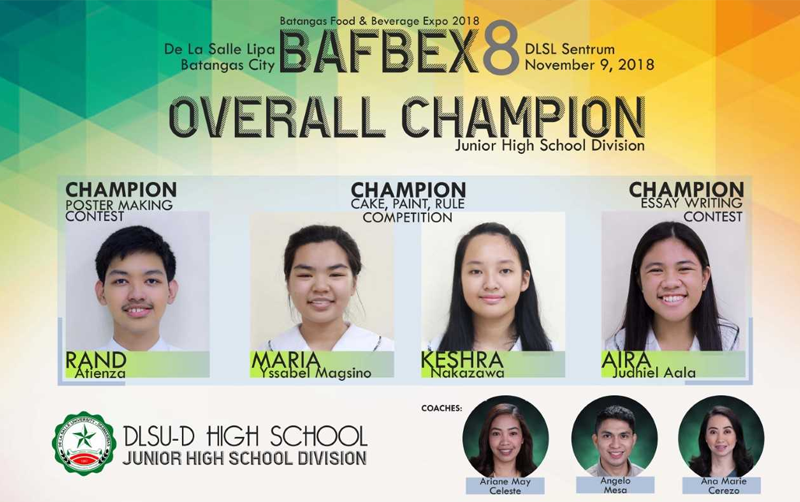 De La Salle University-Dasmariñas’ High School students chalked up another victory with their win at the Batangas Food and Beverage Expo held in De La Salle – Lipa. 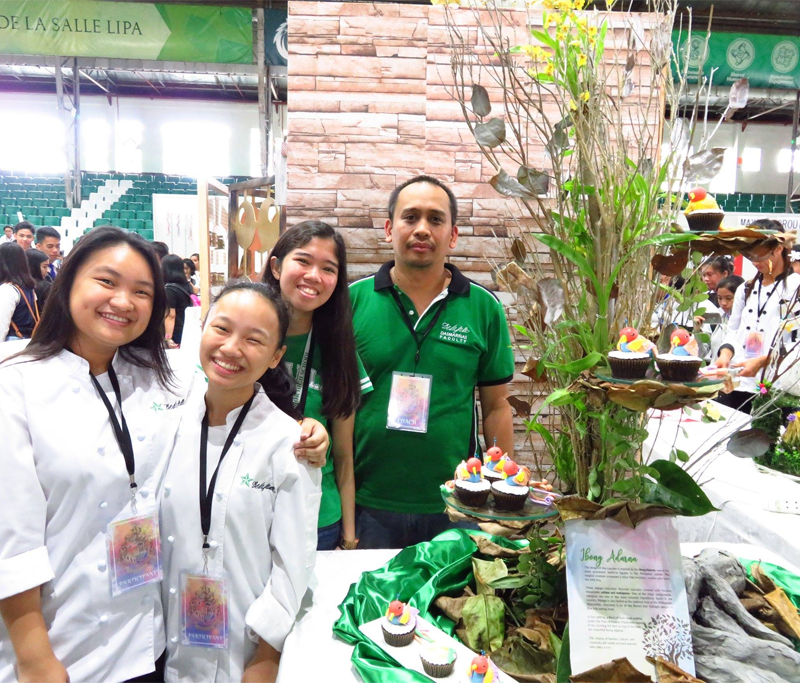 The team composed of Jewella Calpito, Stephanie Alvarez, and Caysey Espinelli of TVL11 and coached by Props G. Marilejos were named champions in the Cupcake Wars while Wallace Beltran of HMS11 also placed third in the feature writing category. The Batangas Food and Beverage Exposition 8: Going Magically Infinite had for its theme “Creating Connections Beyond Limits” and was intended to strengthen partnerships among various academic institutions and stakeholders by providing an avenue to showcase the skills and talents of the participants. This year’s event was organized for the benefit of Herencia de La Salle, a scholarship program for students who are financially challenged but academically deserving to have access to Lasallian education.